Read The Insider Russian report on this same topic here. An ongoing Bellingcat investigation conducted jointly with The Insider Russia has confirmed through uncovered passport data that the two Russian nationals identified by UK authorities as prime suspects in the Novichok poisonings on British soil are linked to Russian security services. This finding directly contradicts claims by the Russian president on 12 September 2018, and by the two men in an interview broadcast on RT one day later, that they are civilians who traveled to Salisbury for a tourist getaway. Original Russian documents reviewed by Bellingcat and The Insider confirm definitively that the two men were registered in the central Russian resident database under the names Alexander Yevgenievich Petrov and Ruslan Timurovich Boshirov, respectively, and were issued internal passports under these names in 2009. However, no records exist for these two personas prior to 2009. This suggests the two names were likely cover identities for operatives of one of the Russian security services. Crucially, at least one man’s passport files contain various “top-secret” markings, which, according to at least two sources consulted by Bellingcat, are typically reserved for members of secret services or top state operatives. These findings, along with peculiarities in the two men’s bookings of their flight to London, make Russia’s official statements that Petrov and Boshirov are civilian tourists implausible, and corroborate UK authorities’ claims that they are in fact officers of a Russian security service. Aeroflot’s passenger manifest, reviewed by Bellingcat and The Insider, discredits Petrov and Boshirov’s claims, made in the RT interview, that they had been planning their visit to Salisbury for a long time. The manifest records the times of booking, check-in, and boarding of each passenger. In the case of the two suspects, they made their initial booking – and checked in online – at 20:00 GMT (22:00 Moscow time) on 1 March 2018, the night before their short trip to London and Salisbury. The two suspects flew back to Moscow on 4 March 2018, having taken two trips to Salisbury both on March 3rd and March 4th, the day on which the Skripals were poisoned. Bellingcat and The Insider have reviewed original records from the central Russian passport and residential registration database and have identified the passport files belonging to the two suspects. The person using the name Alexander Petrov does in fact have a passport file, under the name Alexander Yevgenievich Petrov, born on 13 July 1979 in Kotlas, a small town in northern Russia. The birth date coincides with that of the Alexander Petrov who flew on Aeroflot flight SU2588 on 2 March 2018, as seen in the passenger manifest reviewed by Bellingcat. This person’s domestic passport photo matches the photos released by the UK authorities and the face of the person calling himself Alexander Petrov in the RT interview. Mr. Petrov’s passport file contains peculiarities that are not found in any other passport file reviewed by Bellingcat and The Insider in this and prior investigations. First, this person’s file lacks any history of address registrations or previous identification documents issued prior to 2009. A standard passport file – such as the files of the other 3 Russian citizens bearing the name Alexander Petrov and born on 13 July 1979, all of which were reviewed by Bellingcat and the Insider before identifying the person of interest – contain a history of previous, expired ID documents (called domestic passports), documents, international passports issued to the person (both expired and current), as well as previous address registrations. The first – and only – Russian ID document listed for Mr. Petrov under his file is an internal passport (mandatory for Russian citizens over the age of 14) issued on 26 November 2009, and valid until today. The passport file contains a field called “reason for issue of document”, which typically lists the previous (expired) ID document that the current one substitutes. In Mr. Petrov’s case, the reason for issuance of the new passport is listed simply as “Unsuitable for usage”, a marking typically used when a previous passport has been damaged or found to contain invalid data. A hand-written note in Petrov’s file makes a reference to a pre-existing national passport issued in St. Petersburg in 1999. However, no record of such a passport number exists in the central passport database. Alexander Petrov’s passport dossier is marked with a stamp containing the instruction “Do not provide any information”. This stamp does not exist in standard civilian passport files. A source working in the Russian police force who regularly works with the central database confirmed to Bellingcat and The Insider that they have never seen such a stamp on any passport form in their career. That source surmised that this marking reserved for operatives of the state under deep cover. Adding additional credence to the hypothesis that Alexander Petrov’s persona is a cover identity comes from another page in his passport file, which is reserved for input of biographical data. In Mr. Petrov’s case, this page is left blank, and in addition to the same stamp “Do not provide information”, a hand-written note is added with the text “There is a letter. S.S.”. Per the same source interviewed for this story, S.S. is a common abbreviation for “sovershenno sekretno”, Russian for “top secret”. Another clue pointing to the non-civilian status of Mr. Petrov is the absence from his passport file of any information about his international passport, which he used to travel to the United Kingdom. The passport number is listed in the Aeroflot passenger manifest reviewed by Bellingcat. However, the passport file shows no international passport belonging to Alexander Petrov, in contrast with regular practice – under which the file contains a list of all government-issued ID documents, both national and international passports, expired and currently valid. The Russian media outlet Fontanka has previously published information on Boshirov and Petrov’s passport files, indicating that they were separated by only 3 digits (-1294 and -1297), meaning that they were issued at nearly the same time. Bellingcat and The Insider also reviewed passport data for the other two individuals to whom those two passports were issued, with the the passport numbers ending in -1295 and -1296. These two individuals also had peculiar passport dossiers, with incomplete or time-capped data, similar to Alexander Petrov’s passport file. Additionally, Fontanka noted that Petrov and Boshirov bought two separate return flights back to Moscow on March 4. Additional information on these findings, along with other discoveries related to Boshirov and Petrov, will be published on Bellingcat’s site next week. The post Skripal Poisoning Suspect’s Passport Data Shows Link to Security Services appeared first on bellingcat. Alexander Petrov – a fake cover persona for a yet unidentified Russian individual – is not a civilian but linked to an operative of one of Russia’s security secret services. This assessment was based on an exhaustive analysis of “Petrov” passport dossier as obtained from the Russian central passport database. 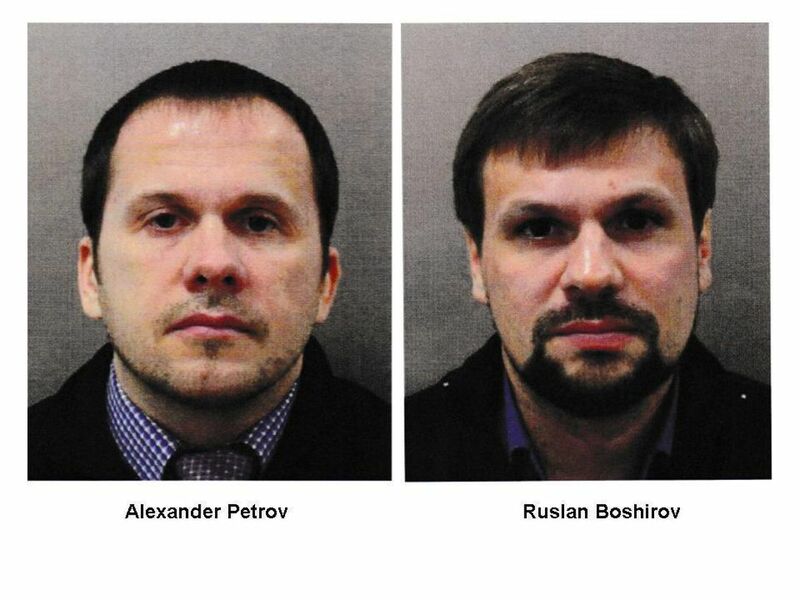 Petrov and Boshirov made last-minute travel plans to fly to the United Kingdom, which – coupled with the double-booking of return flights on two consecutive dates – makes the “tourism” explanation implausible. Petrov and Boshirov travelled on international passports that differed by 3 consecutive digits, making it implausible that they were civilians who obtained their passports through the regular, entropic passport application process available to Russian citizens. Bellingcat and the Insider can confirm definitively that both “Alexander Petrov” and “Ruslan Boshirov” are active GRU officers. This conclusion is based both on objective data and on discussions with confidential Russian sources familiar with the identity of at least one of the two persons. As we wrote in the first part of this investigation. “Alexander Petrov”’s passport file contained a stamp with the marking “Do not provide data”, followed by a cryptic number. The same stamp – and the same number – appeared in “Boshirov”’s dossier. Following the publication of part 1, Novaya Gazeta hypothesized that the number sequence may be a telephone number that belongs – based on comparing number pattern – to the Russian Ministry of Defense. In addition, at least two reporters were able to call that number and speak to someone confirming this is a Ministry of Defense line. Bellingcat and the Insider have obtained documents proving that the number on the suspects’ stamps indeed is identical to a telephone number that belongs to the Ministry of Defense, and is located at Khoroshevskoe Chausse – where the Headquarters of the GRU is based. Additionally, many all listed telephone numbers in the Moscow telephone database that start with 1957*** have addresses located at Khoroshevskoe Chausse, such as the Ministry of Defense-owned magazine “Foreign Military Review”. The only military unit at or near Khoroshevskoe Chausse is the headquarters of the GRU. However, it’s two other numbers that provide the most corroborative link between the two Skripal suspects and the GRU. It’s their international passport numbers. As discussed in the previous installment, the two suspects’ international-travel passports were not recorded in their passport files – which is atypical for the Russian passport dossier system. This suggests the passports were issued by a special agency that does not report to the centralized registrar of government-issued ID’s, commonly known in Russia as the “FMS database”. Such a “disconnect” would be logical if this agency issues covert international passports under cover identities. A “special issuing agency” would explain also the proximity of the passport numbers between the two suspects – only 3 intervening digits (as one would assume that Russian, internationally active secret-service agents are a finite, relatively small number). Bellingcat and the Insider have previously investigated and reported on a different GRU officer who also traveled travelled under a cover persona and passport. This was the case of Col. Eduard Shishmakov, a former Russian Military Attaché in Warsaw expelled by Poland in 2014 for espionage. Col. Shishmakov, using an undercover (albeit not very creative) persona and passport in the name of Eduard Shirokov, travelled to Serbia in October 2016 to supervise – as alleged by the Montenegro special prosecutor – a failed coup against the pro-Western government in Podgorica. In a previous report, the Insider identified that Col. Shirokov wired funds to a co-conspirator in Serbia via Western Union, using the address of the GRU headquarters as the “Sender” address. Bellingcat compared the passport number on Col. Shishmakov’s cover-identity passport, with the numbers of the (cover-identity) passports of “Petrov” and “Boshirov”. The numbers were from the same batch, with only 26 intervening passport numbers between “Petrov”’s (654341297), and “Shirokov”’s (654341323) number. “Shirokov”’s passport was issued in August 2016, implying that Petrov’s and Boshirov’s passports were issued by the same special authority earlier that year. Indeed, as we will see in their international itinerary below, they start travelling in early April 2016, suggesting that only 26 passports were issued by this special authority between April and August 2016. There can be little doubt that both Shishmakov/Shirokov, and “Petrov”/”Boshirov” acquired their cover passports under the same, restricted procedure – and in the same batch of sequence numbers – available to secret service officers. As Shishmakov’s link to GRU has been established incontrovertibly before, it is unlikely that “Petrov” and “Boshirov” are assets of a different Russian intelligence service, especially in light of the MoD telephone numbers marked on their passport dossiers. Bellingcat and the Insider have obtained “Petrov”‘s and “Boshirov”s border crossing data for a number of countries in Europe and Asia, for the period of validity of their international passports (mid-2016 through today). Their globe-trotting, unpredictably meandering itinerary is at times reminiscent of characters out of Mission Impossible, yet a focus on the countries of Western Europe is clearly visible. The two operatives’ international globe-hopping on their newly issued passport start on April 8th 2016, when “Petrov” (or Petrov and Boshirov, as our investigation tracked only Petrov’s passport data) drives to Minsk, the capital of Belarus, to fly out from there to Amsterdam. He arrives in the Netherlands two days after the hotly disputed referendum on Ukraine’s EU accession, and flies back to Moscow 10 days later. The second trip Petrov takes up is perplexing. On July 11th 2016, he crosses the border from Russia into Kazakhstan by bus, and reports to Kazakh border authorities “Beijing” as his final destination. It is uncertain as to how he planned to reach the capital of China, given the more than 5000 km between the border-crossing point and Beijing. It is possible that he gave that destination as a decoy, or that he planned to ride to Astana and then take a plane to China. Whatever his plans were, we lose track of him for the next 15 days, when he shows up again on a flight back to Moscow – from Israel’s capital Tel-Aviv. Petrov’s next trip is again to Amsterdam – two months after returning from London. This time he stays in Europe 12 days, and returns to Moscow on a flight from Paris at the end of November. Petrov’s next trip is on February 28th 2017, and it is – once again – to the United Kingdom. He stays there for 6 days, and returns, sinisterly, on March 4 5 th – the same day they will poison Sergey Skripal and his daughter a year later. Between September 2017 and February 2018, Petrov makes five trips to France and Switzerland, usually landing in Paris and returning from Geneva. The last trip is the longest – he spends two weeks in Europe, between January 23 and February 6th, and flies into – and back from – Geneva. The next trip is their last to Europe – on March 2nd 3rd 2018 they both land at Gatwick, having purchased their tickets the previous evening – on the day before same day Sergey Skripal’s daughter would arrive arrives in London. A source in a Western European law-enforcement agency informed Bellingcat that Petrov and Boshirov were arrested on the territory of the Netherlands. No information was provided as to the time and context of such arrests. European media have previously reported arrests and deportation of two unidentified Russian spies on Dutch soil; leaked police information linked the arrests with attempts by the two to smuggle hacking equipment to Switzerland, with the goal to infiltrate the Spiez laboratory. The Spiez lab worked on investigating the chemical attacks in Syria, and later on determining the poisoning agent in the Skripal case. Even though the media outlets that broke this story reported that the incident took place in the spring of 2018, they acknowledged that the exact time was unknown. Bellingcat and the Insider will continue to investigate whether the hypothetical arrest of “Petrov” and “Boshirov” on Dutch soil did take place as reported, and if so, whether such arrest was linked to the reported arrests of two spies in the Netherlands. The post Skripal Suspects Confirmed as GRU Operatives: Prior European Operations Disclosed appeared first on bellingcat. Bellingcat and its investigative partner The Insider – Russia have established conclusively the identity of one of the suspects in the poisoning of Sergey and Yulia Skripal, and in the homicide of British citizen Dawn Sturgess. Part 1 andPart 2 of Bellingcat’s investigation into the Skripal poisoning suspects are available for background information. In these previous two parts of the investigation, Bellingcat and the Insider concluded that the two suspects – traveling internationally and appearing on Russian television under the aliases “Ruslan Boshirov” and “Alexander Petrov” – are in fact undercover officers of the Russian Military Intelligence, widely known as GRU. Bellingcat has been able to confirm the actual identity of one of the two officers. The suspect using the cover identity of “Ruslan Boshirov” is in fact Colonel Anatoliy Chepiga, a highly decorated GRU officer bestowed with Russia’s highest state award, Hero of the Russian Federation. 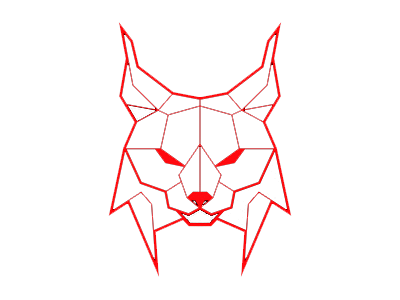 Following Bellingcat’s own identification, multiple sources familiar with the person and/or the investigation have confirmed the suspect’s identity. This finding eliminates any remaining doubt that the two suspects in the Novichok poisonings were in fact Russian officers operating on a clandestine government mission. While civilians in Russia can generally own more than one passport, no civilian – or even an intelligence service officer on a personal trip – can cross the state border under a fake identity. The discovery also highlights the extent of the effort – and public diplomacy risk – Russia has taken to protect the identities of the officers. 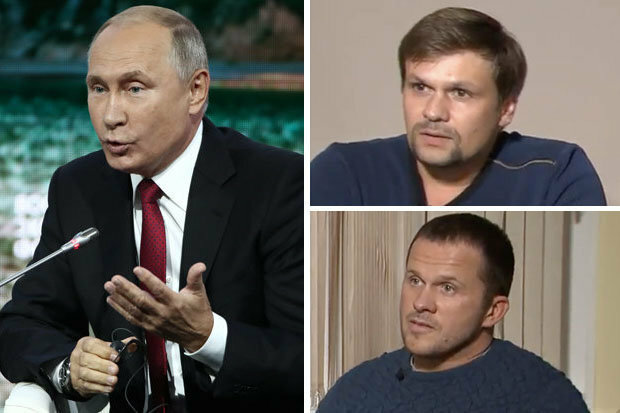 President Putin publicly vouched that “Boshirov” and “Petrov” are civilians. As it is established practice that the awards Hero of the Russian Federationare handed out by the Russian president personally, it is highly likely that Vladimir Putin would have been familiar with the identity of Colonel Chepiga, given that only a handful of officers receive this award each year. Anatoliy Vladimirovich Chepiga was born on 5 April May 1979, in the far-eastern village of Nikolaevka in the Amur oblast, population 300, near the Russia-China border. At age 18, he enrolled at a military school just 40 kilometers from his home, the Far-Eastern Military Command Academy in Blagoveschensk, one of Russia’s elite training grounds for marine commandos and Spetsnaz officers. Anatoliy Chepiga graduated the academy with honorsin 2001. He was then assigned to serve in the 14thSpetsnazBrigade in Russia’s farthest-eastern city of Khabarovsk, one of the elite Spetsnaz units under GRU command. Chepiga’s unit (74854, formerly 20662) played a key role in the second Chechen War, and was also observed near the Ukrainian borderin late 2014. Over the course of his assignment to the 14thSpetsnaz Brigade, Colonel Chepiga was deployed three times to Chechnya. The specific operations he was involved in are not known; however, a website of a far-eastern branch of a state-run military volunteer organization reports that he receivedover 20 military awards in the course of his service. At some point between 2003 (the last year we identified him at the 14thSpetsnaz Brigade in Khabarovsk) and 2010 (the year he received his first undercover passport), Anatoliy Chepiga was assigned his alter ego, “Ruslan Boshirov”, and was relocated to Moscow. Given his current rank of Colonel and function as a clandestine GRU officer, it is plausible that during this period he graduated from the Military Diplomatic Academy, also known as the “GRU Conservatory,” in Moscow. In December 2014, Colonel Chepiga was awarded Russia’s highest state award, Hero of the Russian Federation.This award is bestowed personally by the Presidentof Russia “as recognition of services to the state and the people of Russia involving a heroic deed”. Indeed, the fact that Colonel Chepiga was bestowed the Hero of Russia award is announcedon the website of his military school. While most other recipients of the award have a detailed description of the acts that resulted in the recognition, the last two recipients – Anatoliy Chepiga and Alexander Popov – received only a terse statement: “by decree from the Russian president.” This further implies that the mission he – or they – were awarded for was secret. The phrasing and timing of the award provides significant clues as to where Colonel Chepiga’s mission was. In 2014, there were no military activities in Chechnya. Russia had not engaged militarily in Syria yet. The only region in which Russia was conducting active military operations in secrecy at the time was in Eastern Ukraine, which is the most likely theatre of his mission, as suggested by the secrecy of his award. Anatoliy Chepiga is married and has one child. Bellingcat began the search with only the two targets’ photographs and their cover identities. Initially we attempted reverse image-search via several online engines, but no matches were found. Similarly, no name telephone numbers were registered in the name of “Ruslan Boshirov” in any of the reverse-searchable telephone databases usually scraped by Bellingcat. Having tried these initial avenues of pursuit, Bellingcat and the Insider approached the search deductively. On the assumption that the two suspects were GRU officers with a focus on West European covert operations (see our second publicationabout the Skripal poisoning suspects), and knowing their approximate age, we contacted former Russian military officers to inquire what specialized schools would have provided appropriate training. 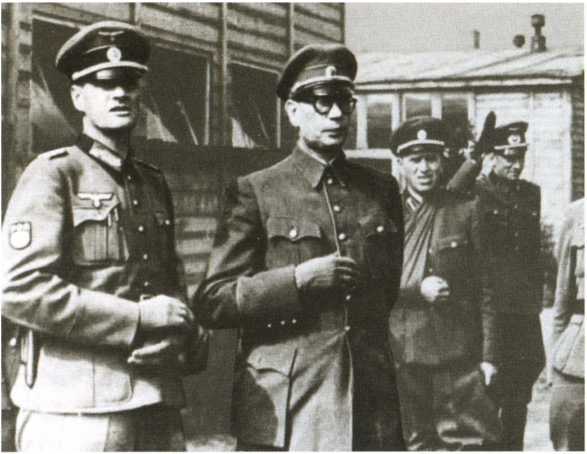 One of the sources we contacted suggested that the school with the best reputation for foreign-language training and overseas clandestine operations at the turn of the century – when the two suspects would have studied – was the Far Eastern Military Command Academy. The graduation years for the two were estimated between 2001 and 2003. We browsed through multiple (incomplete) yearbook photos and reunion galleries of the classes of 2001-2003 but did not find exact matches for either of the suspects. There were several possible – but not certain – matches for the suspect “Boshirov”. One of these was in a group photograph from a 2018 articleabout the history of the Academy. Near a photograph of Academy graduates deployed in Chechnya, the text referred to “seven school graduates [who] were bestowed with the Hero of Russia Award”. While testing the hypothesis that the unnamed person at right-most end of the photo might be “Boshirov,” we searched online for references to “DVOKU” (the Russian abbreviation for the Far Eastern Military Command Academy), “Chechnya” and “Hero of the Russian Federation.” This search landed us at the above-referenced Volunteer Union website, which described a certain Colonel Anatoliy Chepiga as linked to all three search terms. Online searches in both Google and via two Russian search engines found no images, or social media presence, related to a Colonel Anatoliy Chepiga, or to anyone by that name with a military connection. This appeared to be highly unusual, given the fact he had been awarded the highest state honor. Subsequently, the research team scoured leaked Russian databases for references to Anatoliy Chepiga. A number of leaked residential and/or telephone databases of various Russian cities and regions are freely available as torrents on the internet; data in such databases varies in recency between 2000 and 2014. The research team was able to find Anatoliy Chepiga in two locations and time periods in the database: in 2003, in Khabarovsk; and in 2012 in Moscow. In the 2003 database, a certain Anatoliy Vladimirovich Chepiga was listed with a phone number and an address only described as “в/ч 20662“, the Russian abbreviation for Military Unit 20662. 20662 is the Ministry of Defense designation number of Spetsnaz unit of GRU’s 14thBrigade in Khabarovsk. At press time, the telephone number listed next to the name of Anatoliy Chepiga was used by a person who has owned it for 4 years, and who was not aware of the previous owner of the number. Bellingcat accepted the working assumption that this person was indeed Colonel Anatoliy Chepiga, described in the publication as “Hero of the Russian Federation”. In the 2012 database, one person named Anatoliy Vladirovich Chepiga were listed as residing in Moscow. This man was born on 5April 1979. Using the birth date, address and family members’ names, Bellingcat searched for this man online and on social networks, to no avail. Another person with the same full name and birth year – but a different date of birth – was identified as a business owner unrelated to “Boshirov”. The birth year (1979) of the candidate from the database was one year later than the birth year in “Boshirov”s cover documents, however it corresponded to a graduation year from the military academy in 2001. At this point, Bellingcat accepted the working hypothesis that the man from the 2003 and 2012 databases is the same, and is in fact Colonel Chepiga, Hero of the Russian Federation. To establish if he is, in fact, “Boshirov,” we needed to obtain a photograph. None were available online or in open sources, even in a number of articles that referred to “Hero of Russia Colonel Chepiga.” Another graduate of DVOKU who reportedly received the same award simultaneouslywith Chepiga – Alexander Popov – could be seenin photosand videos, yet Chepiga was conspicuously absent. The systematic omission from photographs of an otherwise notable figure – which Bellingcat had previously observed in the case of GRU General Oleg Ivannikov, who served as Minister of Defense of South Ossetia under the cover identity of Andrey Laptev – suggested that Colonel Chepiga may also be a secret service officer. To validate the hypothesis that Chepiga is Skripal poisoning suspect “Boshirov,” Bellingcat and The Insider obtained extracts from the passport file of Anatoliy Vladimirovich Chepiga – the man born on 5th April 1979 1978 – from two separate sources with access to databases dated prior to 2014 2014, . The passport file contained a photograph – dated approximately in 2003, when this passport was obtained – that strongly resembled a younger “Boshirov” as seen in passport photos released by the UK police, with an even stronger resemblance to the cover identity passport photo published in our previous publicationon the Skripal suspects. A passport application form in the passport dossier listed Chepiga’s 2003 place of residence as “Military Unit 20662, Khabarovsk”, confirming this was indeed the person identified in the 2003 database. It also listed his place of birth as “village of Nikolaevka”, further linking this person to the Hero of the Russian Federation with the same name. The passport application form identified also Anatoliy Chepiga’s marital status and listed his military ID number. Based on the array of information sources consulted – all of which were independent from each other and came from different time periods – Bellingcat was able to conclude with certainty that the person identified by UK authorities as “Ruslan Boshirov,” is in fact Colonel Anatoliy Vladimirovich Chepiga, a highly decorated senior officer from Russian military intelligence who was awarded the highest state honor in late 2014. This finding starkly contradicts both this man’s statements, as made in a TV interview to Russia’s state-run RT network, and President Vladimir Putin’s assertions that the person in question is merely a civilian named Ruslan Boshirov. These demonstrated falsehoods overshadow this man’s – and the Russian government’s – other denials in this respect, and corroborate the UK authorities’ allegations that this individual was a) complicit in the Skripal poisoning and b) acted on orders from a high-level government authority in Russia. Bellingcat has contacted confidentially a former Russian military officer of similar rank as Colonel Chepiga, in order to receive a reaction to what we found. The source, speaking on condition of anonymity, expressed surprise that at least one of the operatives engaged in the operation in Salisbury had the rank of colonel. Even more surprising was the suspects’ prior award of the highest military recognition. The post Skripal Suspect Boshirov Identified as GRU Colonel Anatoliy Chepiga appeared first on bellingcat. A study has found that the bulk of federal funds slated for post-hurricane reconstruction efforts in Puerto Rico are going to mainland companies, despite a federal law that states local companies should receive priority. The Center for a New Economy said Wednesday that of the nearly $5 billion awarded by the U.S. government by late August for work in Puerto Rico, nearly $4.3 billion has been awarded to mainland U.S. firms and less than 10 percent to Puerto Rico companies. The think tank analyzed a federal database of post-hurricane contracts. 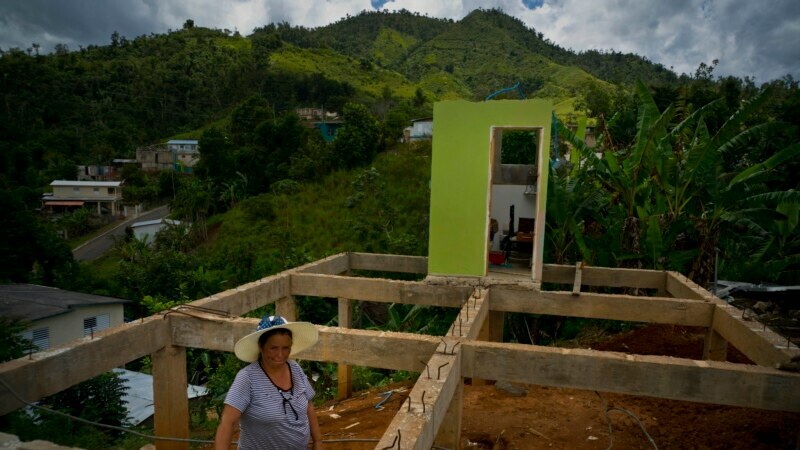 The study also found that the U.S. spent almost $12 billion in the first 336 days after Hurricane Katrina, more than double spent in contracts post-Maria in Puerto Rico. FEMA did not immediately respond to a request for comment. Investigative journalists have claimed to have identified one of the two suspects in the Salisbury poisoning as a highly decorated officer in Russia’s military intelligence service (GRU). The online investigative sites Bellingcat and The Insider identified one of the two suspects – previously named as Ruslan Boshirov – as Colonel Anatoliy Chepiga, a veteran of Russian special forces who was awarded the country’s highest state award, Hero of the Russian Federation. mikenova shared this story from boshirov – Google News. Previous PostPrevious 10:06 AM 9/26/2018 – Opinion | Is Merkel to Blame for Brexit?